Arlene Arver Daniel Foster, daughter of Walter Gaither Daniel and Ora Josephine Nix, married to Tommy Claude Foster and buried in New Hope Memorial Gardens Cemetery, Sunnyvale, Dallas County, Texas. 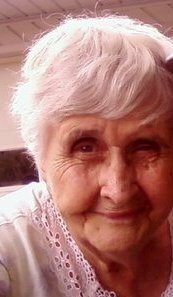 Arlene Arver Daniel Foster of Dallas, TX was born October 17, 1918, passed away August 24, 2012. Preceded in death by husband: Claude Foster; parents: Walter & Ora Daniel; brother, Arlie Daniel; granddaughter, Karlissa Foster. Survived by son: Dwayne Foster; daughter: Rena Norvell; grandchildren: Kim Thornton, Michele Markham, Donavan Kuhlmann, Todd Kuhlmann; great grandchildren: Ryan Thornton, Austin Thornton, Shelby Markham, Hunter Keipper, Mia Kuhlmann. Graveside service will be 10:00am Saturday August 25, 2012 at New Hope Memorial Gardens, Sunnyvale, TX.